#260. 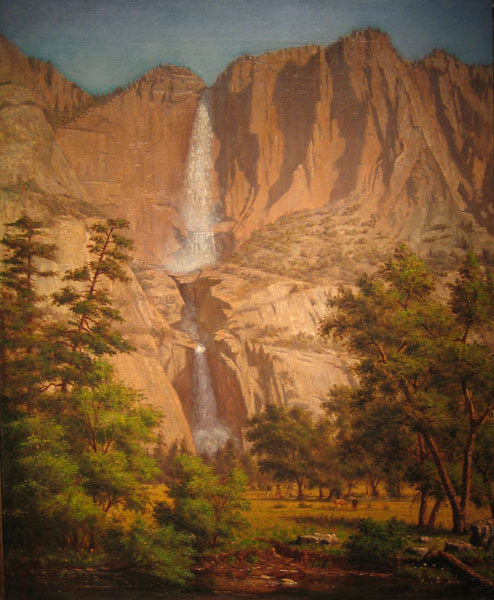 Yosemite Falls. 30 x 24, oil on canvas relined. no signature. From the house of the artist E. L. Henry, identified by the dealer Gerold M. Wunderlich. The bottom of the painting has extensive restoration, which probably obscured the signature. The style definitely suggests Munger. 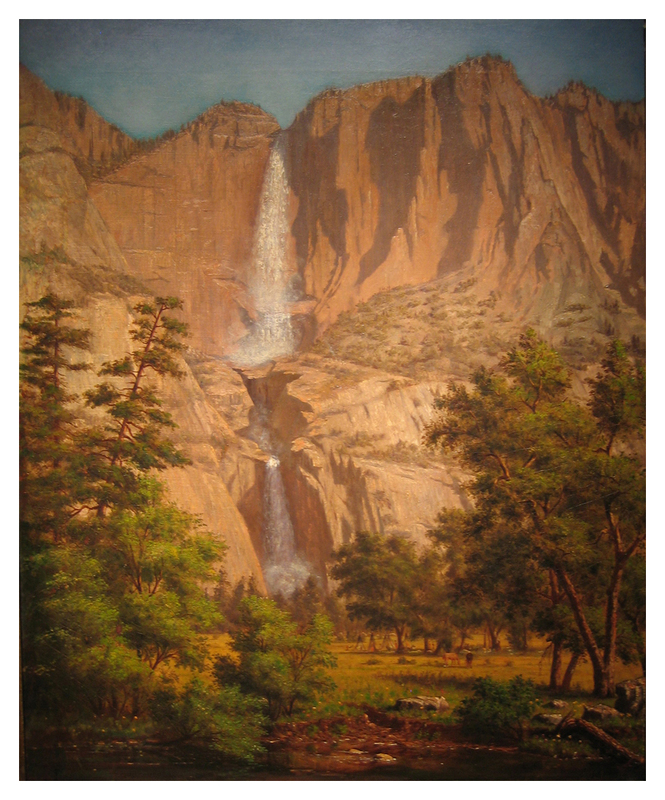 Wunderlich recognized the painting based on his exposure to Munger at Kennedy Galleries, which handled many Mungers from the Eberstadt collection. He says: "The Eberstadts were primarily book dealers in the 40's and 50's. They apparently purchased paintings for their inventory, and after they retired and closed up their shop they consigned the painting inventory to my father at Kennedy galleries. The collection was approximately 3500-4000 paintings, drawings etc. The vast majority was Western. It tended to be quite heavy in the lessor known painters - artists like Munger, Thomas Hill, William Keith, Charles Dorman Robinson etc." Image from Gerold Wunderlich's email.